In this recipe we focus on some real history in cheese making from the maritime region of Normandy. As in those bad boy Normans/Norsemen from the north that kept raiding and occupying the north coast of France and much of the Isles. A bold cheese for a bold crowd! 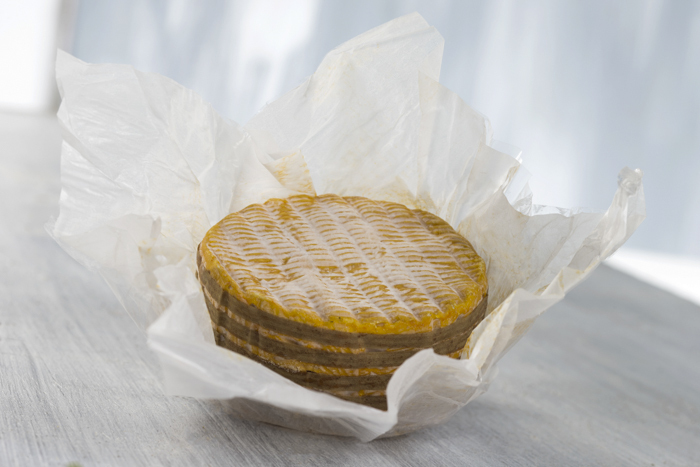 This cheese shows itself with a beautiful washed robe and traditionally holds itself together with 5 bands of natural reed to keep it from spreading as it ripens. It is often referred to as the 'Colonel' due to these five important stripes like a french military colonel. It can announce itself to the nose as it enters the room, but follows with a much more enticing flavor. Livarot is one of the oldest and greatest cheeses of Normandy, along with Pont l'Eveque and Camembert (a much more recent cheese). 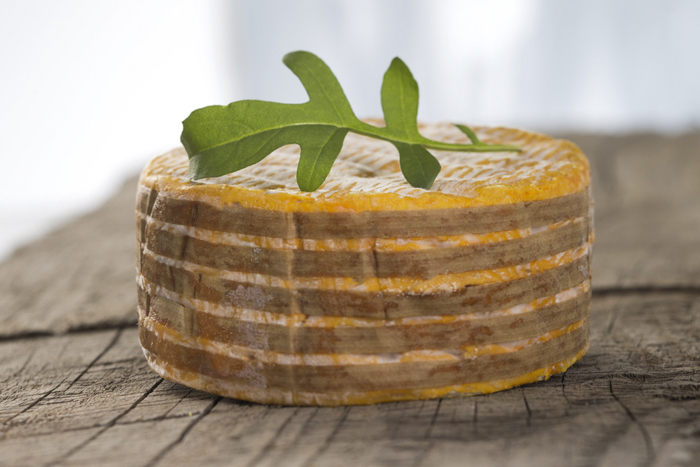 Livarot began as a monastic French cheese easily distinguished by its washed rind and pungent aroma. The cheese is noted for its soft, golden paste with little holes and springy texture. The taste is nutty and melts in the mouth to release flavors of salty citrus spiciness. The texture is creamy, smooth and quite runny at room temperature. So runny in fact, that it is wrapped with 5 bands of reed strips at salting to hold the cheese within itself during the ripening. These strips account for it being known in Normandy as "the Colonel". On the table, Livarot cheese would be more appropriate at the meat end of the table than at the end with lighter fare. It is also commonly consumed with cider or strong beer, as well as Normandy's famous strong Calvados, distilled from apples. In the USA, a close comparison would be Cato Corner Farm's (of CT) "Hooligan", one of my personal favorites. Due to its history of conquerors, first the Celtic Gauls in the 4th Century BC, followed by the Romans, then the Vikings and finally William the Conqueror’s invasion, farming traditions go back to France’s earliest civilization. Of course, milk and cheese became one of the most ancient products still produced in the France today. For such a hearty history, it is no surprise that this cheese developed with a LOT of character. 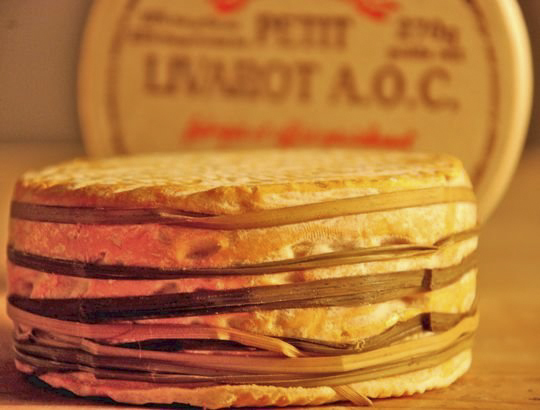 Livarot is perhaps one of the oldest cheeses of Normandy. Its first appearance in Normandy goes back to the late Middle Ages, but its popularity on a broader scale began in the 17th century with more modern transportation, and it was during the mid to late 1800s that it was acclaimed throughout France. Early on it was developed as a rather lean cheese to be made after cream was skimmed for butter. It really was a means to preserve the milk for many months. The cheeses became rather soft during ripening and this is where the wrap of reed or rush strips was put into play. Originally, the cheese was very low in fat (10-15% DryPhase) and did not reach its modern rich fat level until after the last war. Today, the milk going into the cheese is a full 3.5% plus (40-45% DryPhase). Also, with the current focus on certifying the regionality of cheese and other food products, much more interest has been taken on the historical aspect of quality. There had been a steady drift to commercial economies and more use of Holstein and large herds at the expense of quality. 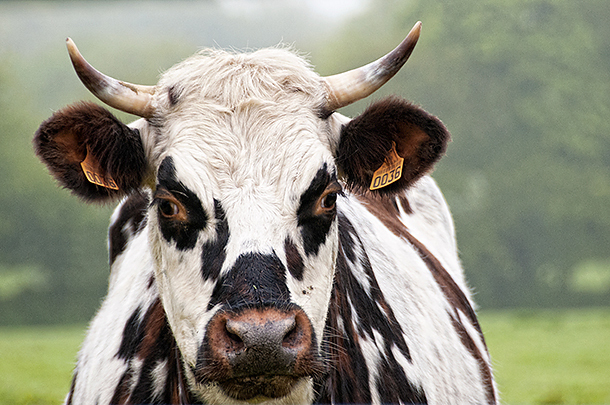 The certification has now turned to assuring a better milk quality with a high focus on natural grazing on lower density grasslands (a minimum of 0.8 acres of grass per dairy cow). 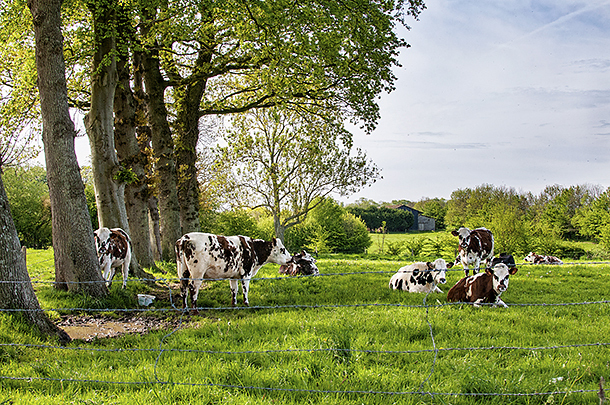 By 2017, the Normande cows milk must be used to certify a Livarot cheese. My favorite herd to use here is a friends Jersey Normande mix/cross, which provides a bit more protein to help hold the high fat% of the Jersey. By snitching a bit of cream off the top it makes an amazing Livarot style cheese. Today's making of Livarot still focuses on the milk quality and care through both the make process and the all-important aging or affinage. It begins with milk that can be quite often held overnight for natural bacteria to develop. It normally takes slightly less than 1.5 gallons to make a single cheese (3 gallons for my double batch below). The milk held overnight and skimmed will have the full fat milk added the next morning. The indigenous bacteria that develop will also be of a mixed meso/thermo base and hence the culture choice I show below. Traditionally no additional culture was added. The coagulation of milk to curds will be held for a longer period of time (not as long as for bloomy rind cheese or blues, but longer than a hard cheese), this will help the curds to be moister. Next, a very gentle large cut followed by a brief and gentle stir before the whey is removed, and the curds are drained on cloth. Finally the curds are loosely packed into molds that rest overnight for consolidation. Next morning the dry salting begins. Finally the washed rind surface evolves over a 2 week period which is followed by another 2-3 months (or more) of aging.